Foodspiration: Why Are We in Ixtapa, Mexico? 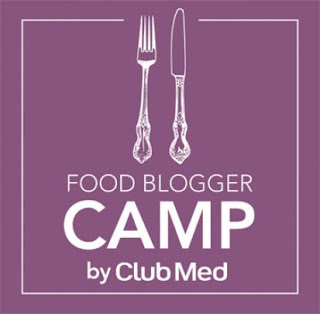 To attend Food Blogger Camp, of course! Justin and I are spending a week in Ixtapa, Mexico with amazing, influential food bloggers. We are a part of the wonderfully small group of 30 bloggers that will be learning about food photography, food styling, writing, understanding multimedia tools in your blog and much more. Not only will we be attending "classes" but also eating together and taking a culinary tour and getting to know some inspiring people. Click here for the full agenda and the list of respected and well-known instructors! And in addition to all of the foodspiration that we will be getting, we are enjoying the warm and beautiful location at Club Med in Ixtapa! More posts to come! Quick update: we're tweeting about the camp if you want to follow us @foodspiration on Twitter. Lauren-Hope you guys had a nice trip, pretty darn cool I have to say. It's always nice to get away, even for a couple of days, especially when the significant other is able to enjoy it with you.